Open for dinner and breakfast. The restaurant and fully licensed bar provide an a la carte menu, and can also cater for group bookings and special occasions with buffets, set menus and finger food options available. Closed on Sundays. The new bar reopened in May 2014, after a fire in November 2012 destroyed the previous bar (image of previous bar shown). Tomo Bar & Eatery is open daily from 11am but closed on Good Friday, Easter Sunday and Christmas Day. Open from 1pm on ANZAC Day. The Cafe Kai & Bar provides basic grocery supplies and is also a café. Opening hours can vary but standard opening as at Dec 2016 are 7 days a week from 8.00am until 5.00pm serving a breakfast menu until 2pm and a lunch menu. Food in the cabinet and slices and pies are home-made. Overlooking Waitomo Caves Village – this is where celebrities and rock stars like Katy Perry come for the “best food in New Zealand and Australia”. New Zealand wine, boutique beer, and cuisine made with local produce wherever possible. Menu options currently include green-lipped mussels, mini lamb burgers, pork belly and scotch fillet steak as well as a selection of sides and deserts. Fully licensed and stocks range of non-alcoholic drinks, beer, wine and spirits. The full range of KCBC is also stocked here. The Long Black Cafe is a place you can sit back, relax and enjoy the high energy atmosphere as excited visitors depart and arrive for their Black Water Rafting and Ruakuri Cave adventures. In a rural setting and home of The Legendary Black Water Rafting Company, the Long Black Café offers friendly Kiwi service, delicious food, home-made breads, cakes and slices and a varied menu offering something for all from vegetarian to Halal and organic soft drinks and coffee together with a range of ‘Kiwi’ ice creams. This café is part of the Kiwi Paka complex. They open for breakfast, lunch and dinner. Pizzas, salads, pastas and much more is available from their menu options. Indoor/outdoor dining set in native bush and gardens with extensive views over Waitomo countryside. The buffet includes a choice of NZ prime beef steak, fish fillet, chicken or mussels accompanied by a selection of vegetables, salads, pasta and breads. Home-made cakes and cookies along with fresh fruit for dessert. Fully licensed with a range of New Zealand wines and beers available. 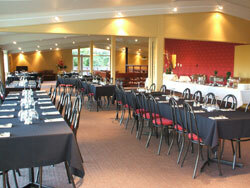 Book in advance through the Waitomo i-SITE and receive your buffet lunch at half price. $10 beef casserole buffet dinner daily. CaféatWaitomo Adventures brings you the freshest handmade food with a strong focus on seasonal and quality ingredients. Come to 1227 Waitomo Valley Road and sample some of their delicious food! Everything is made in their kitchen and complimented with carefully considered coffee and tea. Great pride is taken in using fresh,locally-grown,organic indredients wherever possible to make sure what you enjoy is always of the highest standard. At CaféatWaitomo Adventures, the passionate baristas will match your selections with delicious coffee from Flight Coffee and tea from Tea Total. Open – 7.30am everyday. Breakfast menu is available until 2pm, complimented by their inspired cabinet. 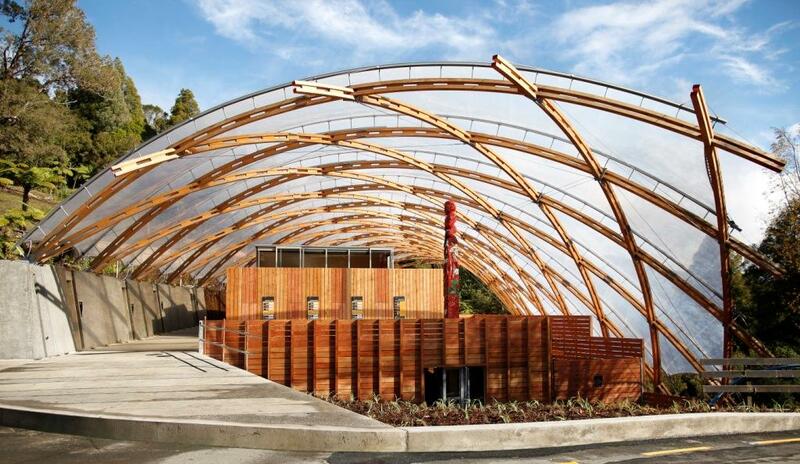 Situated within the Glowworm Cave visitors centre, this restaurant offers a selection of daily specials and many freshly made cabinet items featuring a selection of light and quick dishes together with a menu that combines local seasonal produce with Kiwi café culture. Look out over native bush as you dine. The daily full menu includes Vegetarian, Halal and Gluten Free considerations as well as a range of children’s meals. For a more casual setting, the café upstairs provides a selection of hot and cold snacks with organic soft drinks and coffees, together with a range of ice-creams.